Paul Cornell is a British writer, and a man of many talents - he’s written novels, short fiction, comics, non-fiction, TV tie-ins, Screenplays… He’s been nominated for Hugo Awards in 3 different categories, and he has won a BSFA and an Eagle Award. A Better Way To Die is the first collection of his short stories, published by NewCon Press. The stories in this book were all previously published in a variety of places between 2005 and 2014, and it’s the first time that all 4 Jonathan Hamilton stories can be found in one place, which is reason alone for owning this book! But let’s take it one step at a time; below is a run-through of the various stories in the collection, and my thoughts on them. But before I start with this let me say that, if you own/have read all of them already then this is obviously not for you, but for the rest of us this is a strong recommendation to buy and read this book. So, without further ado - the book starts out with an introduction by John Scalzi, pointing out that Cornell is one of the nicest people on the planet, a great writer, and a must-read. After that we start with Paul’s stories - most of them have a short prescript by the author discussing some key points, inspirations, or importance to himself of what’s to come; I found this to add rather a lot to some of them. Ian Sales is a UK author, editor (both for books and websites), and publisher; who grew up in the Middle East before returning to the UK to enthral us with his tales of spaceflight as we know it (and then some more) that he could not do himself. His motto/tagline, on his own blog, is “It doesn't have to be right... it just has to sound plausible”, which very nicely sums up his writing, especially the Apollo Quartet, of which All That Outer Space Allows is the 4th and final instalment. Unless you count Dreams of the Space Age as the 5th one, of course... but not everybody is of the Douglas Adams school of counting series. The books and stories in the Apollo Quartet are only loosely connected, but all are based on and extrapolated from the US space program during the space race. All of them have some point of departure, where they branch off from spaceflight history as we know it, or where they continue where our history left off. All That Outer Space Allows is a bit of a departure from this format of the previous 3 books – not only is it one step removed from actual spaceflight activity and told through the viewpoint of an observer, but it also does not contain the trappings in the form of acronym lists, mission listings etc – kept in Apollo project font and forma – which gave the earlier books their own, slightly grubby retro-feeling. Instead the story is interspersed with faux NASA and other contemporary (-looking) lists, announcements, and press clippings which underpin the events in the story. One real fun piece was a faux SF Encyclopedia article, putting the story itself into a larger framework of Ginny's life, by outlining the larger cornerstones in her past and future. 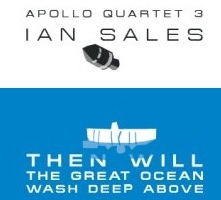 The Apollo Quartet is a series of Novellas by Ian Sales, telling stories derived from the US Space Programme – each of them on their own topic, and with their own departure point somewhere along the line from the history of spaceflight which we know. Some of them have SFnal elements and/or are projected into the future, whilst others are pure Alternate History. All of them are beautifully styled – the font they are printed in looks like the manual typewriter sheets that the US produced for their documents and checklists; they are full of the classic abbreviations and acronyms in use by NASA (and thus require a Glossary to translate the resulting, equally classic Alphabet Soup); they come with a Bibliography and list of Online Sources, and generally feel exceedingly well researched. The first book in the series, called Adrift on the Sea of Rains, won the BSFA Award, and was a finalist for the Sidewise Award in 2012. The second book was called The Eye With Which the Universe Beholds Itself – you might notice some trend concerning titles here. All of them are quotes from a relevant source, and/or have other clever connotations with the story as well as the historical realities behind them. Succinct they are not, but all the more evocative I feel! Then Will the Great Ocean Wash Deep Above, the book at hand, is the one cutting closest to the bone of actual history (as known in our time line!) so far; Ian indicates in his notes that there is only one character in the story which he entirely invented. The title, just to come back to this topic, is a quote from a Homeric Hymn to Delian Apollo. Let me give you a story of ascendance. Or, rather, a story of repeatedly failed ascendance, following an Imugi (Korean Lesser Dragon, some kind of giant serpent) in its repeatedly thwarted attempts to become a Dragon and enter the gates of heaven. It's a story of persistence, of human love, and of the coming together of two very different world views; and it's great. Zen Cho is a Malayan author living in the UK - her website is linked below, and I would suggest you check it (and her other work) out. Passage of Earth is a short story by Award-winning (Nebula et al) author Michael Swanwick, published by Clarkesworld. I cannot really call it a first contact scenario (although it takes place as part of one), as it plays out at the moment when humanity thinks they finally got their hands on a number of alien 'Worms' after one of their spaceships ends up in the Pacific. We see the mortician Hank perform an autopsy on one of the cadavers, brought in by his ex-wife, who now works for the governement. Now, things are never as simple and straight forward with Aliens, of course, and this story has multiple levels of complications and implications which I won't spoil by pointing them out to you before you read the story yourself. You know the old saying about staring into the void... this here is similar, if a bit more physical. Passage, in ever so many ways. The story is impressive, with a very interesting twist to it. And whilst I found some of the stylings and plot sub-threads to be over the top I would suggest you make up your own mind, this is inventive stuff right here. The story can be read on the Clarkesworld website for free - links are below and to the right. 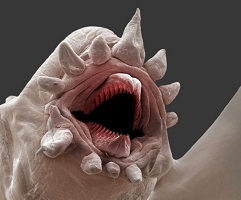 The picture on the right is, despite its Alien looks, of an Earth creature - namely a Scale Worm. Let’s talk about Fredric Brown for a minute, just in case you have not heard of him before. Yes, it might have happened, even if he is, in my eyes, one of the great classic SF writers. 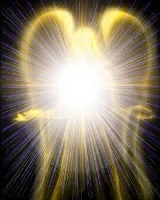 Or maybe because of it - he might simply have been before your time, just as he was before mine. And I don’t know if/as/when I might have come across his oeuvre if I had not been given a copy of the marvellous short story collection Honeymoon in Hell to read. He was a master of the short story, frequently holding up a mirror to humanity through his fantastic settings, and just as frequently leading his readers down the garden path, reversing everything with the final paragraph (or even sentence at times) and sending them back to the beginning, to re-read the story with the correct mind set this time. He wrote Science Fiction, Mysteries, Farces, Detective stories, and, as a pulp writer frequently paid by volume and frequency, at a fantastic rate, which means that a full bibliography of novels, collections, never mind short publications is longer than mine and your arm together! And, just to go back to this, if you really have not heard of him before, then you really should have a look, now you know of him! The Screaming Mimi is a detective novel, following the investigative reporter Bill Sweeney, working for the Blade, as he follows the trail of The Ripper in a classic Chicago setting, and crosses path (and frequently more) with a number of classic characters whilst doing so - starting with the exceedingly good-looking (he’s seen her naked, accidentally) dancer Yolanda Lang, her agent/manager JJ ‘Doc’ Greene, her huge dog Satan (also part of her dance act. Don’t ask. ), or a bum called God. The ripper in question has slashed and killed 3 girls, all good-looking and blonde, and has only been deterred from doing the same to Yolanda by Satan.